CFEs from the Philippines Commission on Audit at Fraud Conference Manila. 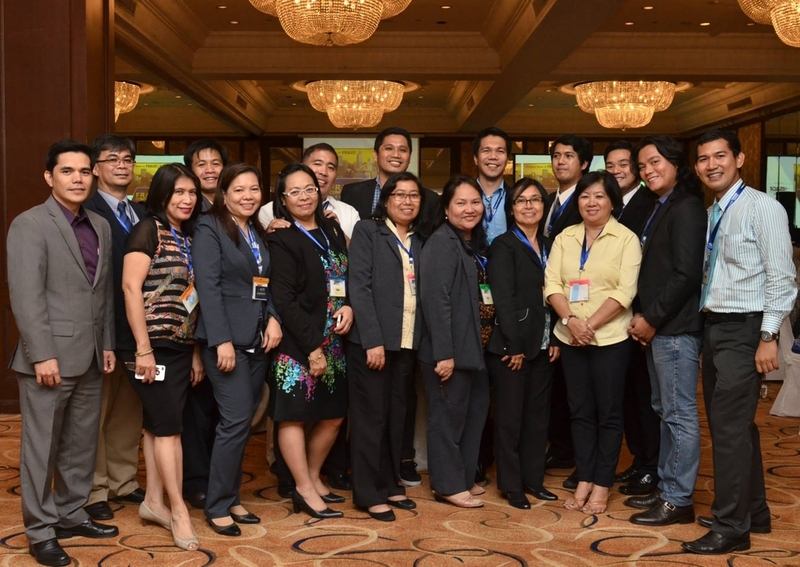 The ACFE Philippines Chapter held its first-ever Fraud Conference Manila, November 6 at the InterContinental Hotel Makita. The event's theme was “The Many Faces of Fraud," and speakers included Leila M. de Lima, Secretary of the Department of Justice in the Philippines. Keynote speaker de Lima discussed the challenges faced in investigating fraud in the public sector and how the private sector can help curb fraud and corruption in the government. The chapter organized the conference with the aim of funding free fraud-related trainings offered as part of their International Fraud Awareness Week activities. The event was a resounding success with more than 200 attendees, 40 percent more people than organizers predicted. Speakers from the government, private industry, media and higher education covered such topics as sociological behaviors that contribute to fraud, the media’s role in fighting fraud and insights into emerging fraud schemes in the Asian region. The Philippines Chapter has been busy as of late. Prior to this event, the chapter teamed up with local ISACA and IIA organizations to conduct the Third Annual IT Audit and Fraud Summit. The chapter is also helping groups of fraud investigators from the Philippines Commission on Audit to study for and take the CFE Exam through their Facilitated Study Sessions program. You can see pictures from the Fraud Conference Manila below, and also at the Philippines Chapter’s Facebook page. Chair of the Chapter Board of Trustees, Lilian S. Linsangan CFE-Retired, CIA, addresses the crowd.